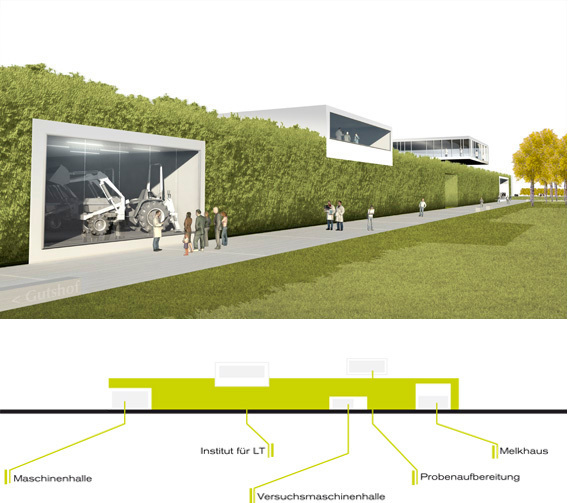 open farm - the Börde Park - technology, ecology and recreation. 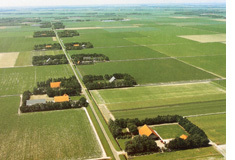 The building blocks of the landscape type of „Börde“ are made of linear landscape elements, such as hem lines, field borders, narrow stream ditches, tree rows and field divisions. 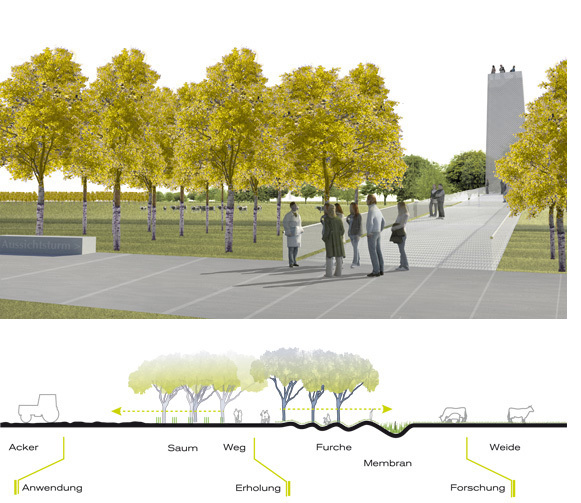 The Börde Park, a linear, multi-dimensional and contextual Park, is inspired by these landscape modules. The design of the Börde Park is derived from the linear elements of the existing börde landscape and interprets its structures to a new type of landscape park. 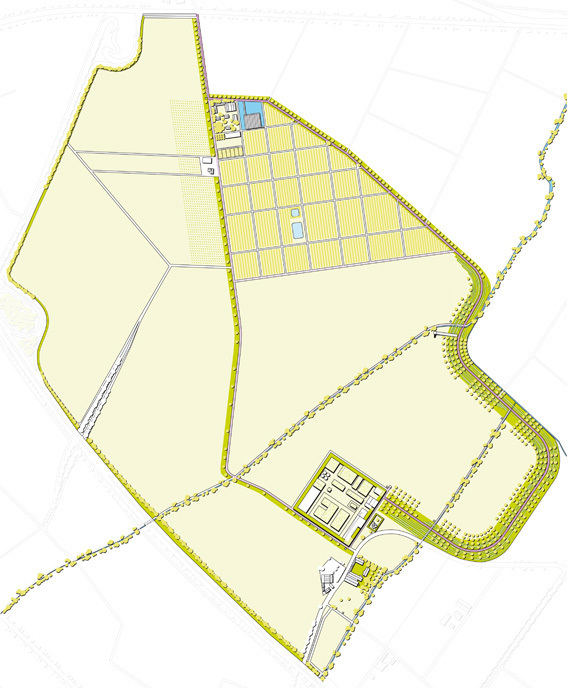 The Börde Park connects, as a landscape ridge and green border, the locations of OVA and the property with the :agrohort. The core of the :agrohort is formed by the agricultural sections („functional aims“). 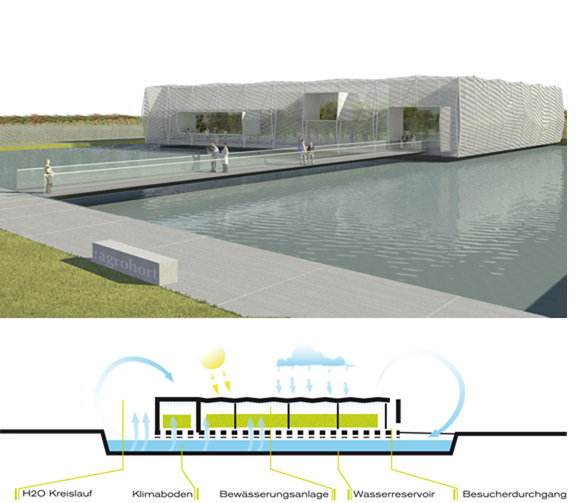 The Börde Park („aesthetic issues") forms as a green clamp a park at the outer side and connects the different demands technology, ecology and recreation.